The morning of Carnival, most of the staff arrives at 9. The parking lot is blocked off and the staff puts up tents and a fence along the road (we are located at the busiest intersection in town). It winds up looking a little bit like a tailgate party once the grill starts going. It's your basic hot dog/chips/cookies/lemonade spread. 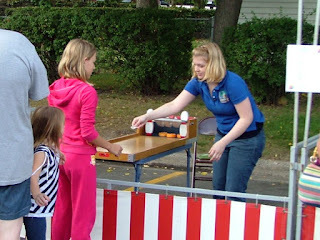 We rent carnival games from our local Fun Services affiliate. This is a great option for those of you, who like us, lack storage for carnival games you won't be using year-round. I believe it runs us about $200 (not including delivery) for about 6 games and all the carnival frames. We use folding tables to set the games on. In addition to renting games, we have a few activities that live in the youth department storage room. They are: duck pond, cake walk, face-painting (cheat and buy stencils), and balloons (we'd do animals if anyone on staff wanted to try). Also, our local American Legion chapter has a toy locomotive that they bring for free and give train rides to the kids. Next year I am bound and determined to go on it myself. Everyone on staff works that day. 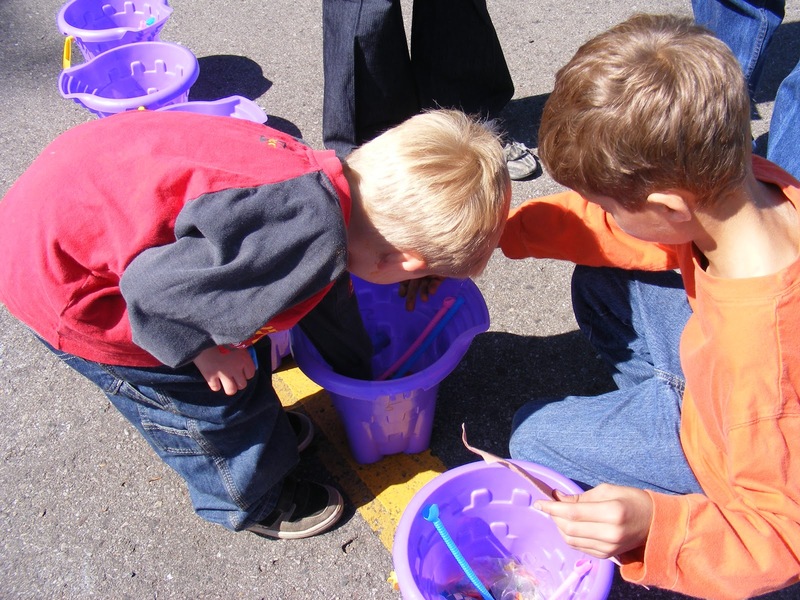 Most people are assigned a game or to work at the redemption table (where the kids pick out the prizes). We do use volunteers to fill in the gaps. I run around all day making sure people get breaks and that everything is stocked up. Usually the whole thing winds down naturally around 2:30 or 3 p.m. It is a very hectic couple of hours but I love Carnival and look forward to it each year.